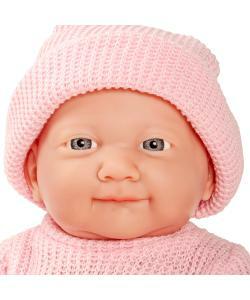 She is made from the highest quality vinyl which give her stunning features and an amazingly realistic look and feel. Sophia is a full vinyl doll which makes her fully poseable, she can move her legs, arms or tilt her head. Comes in a classic Molly Dolly window presentation giftbox. 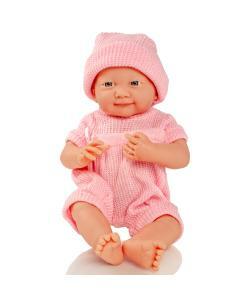 Newborn Sophia is a 14 inch full vinyl poseable newborn baby doll complete with a coordinating outfit. 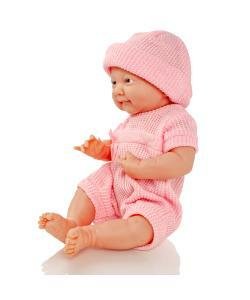 Sophia wears a cute cable knit romper suit accessorised with matching bonnet. 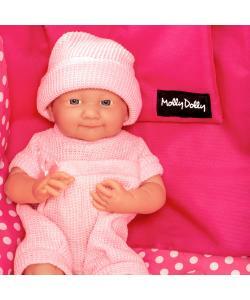 She has stunning blue eyes, a soft button nose and a super cute smile.